After spending 20 years as the Executive Pastor at Granger Community Church, Tim Stevens is now the Vice President of Consulting at Vanderbloemen Search Group. 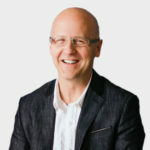 Tim has been a thought leader in the world of church and ministry for more than a dozen years and blogs at LeadingSmart.com. He has a passion for helping churches connect with people who think church is irrelevant and believes that finding the right staff is the most important and crucial ingredient to the success of any church. Tim is acutely tuned in to pop culture, and has been instrumental in building creative teams, inspiring artists and empowering leaders. Stevens has co-authored three books in the “Simply Strategic” series, is author of Pop Goes the Church and Vision: Lost and Found. 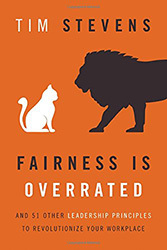 He partnered with The Blythe Daniel Agency to release Fairness is Overrated, published by Thomas Nelson in January 2015. 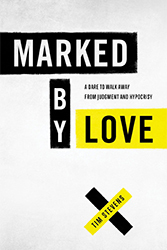 His newest project, Marked By Love, will be released by Barbour Publishing in October 2018. Tim has taught more than 20,000 church leaders in person at workshops, conferences and seminars since 2002. You can connect with him on Twitter: @timastevens and Facebook: facebook.com/tstevens. He has published articles in several publications, including Leadership Journal, Rick Warren’s Ministry Toolbox, REV Magazine, Collide Magazine, Outreach Magazine, and Pastors.com. He has been interviewed on pop culture by the Atlanta Journal Constitution and The Wall Street Journal, written leadership articles for FastCompany.com, Entrepreneur.com and Inc.com. Tim is married to Faith Stevens and their adult children are Heather Snodgrass, Megan Stevens, Hunter Stevens, and Taylor Stevens. I've been writing books for more than 15 years. When I connected with The Blythe Daniel Agency, it took my writing to a whole new level. Not only did the opportunities increase--but the BDA team helped me to become a more accomplished author.